WASHINGTON – The head of Customs and Border Protection said there is no evidence of ISIS attempts to infiltrate the Southwest border and his agency is more focused on trying to prevent more unaccompanied minor immigrants. “We have not one hint of credible information that ISIS or ISIL is poised or is coming across the Southwest border,” CBP Commissioner Gil Kerlikowske told a Washington forum Monday. The comments come as some critics in Congress have suggested that fighters with ISIS – the Islamic State of Iraq and Syria, an extremist group sweeping through parts of those two countries – will try to infiltrate the U.S. through the Southwest border. That threat was cited two weeks ago by Sen. John McCain, R-Ariz., and referred to again Tuesday by Rep. Paul Gosar, R-Prescott, during his tour of the border. But when asked Monday about evidence that ISIS is eyeing the Southwest border, Kerlikowske said there is “none whatsoever,” adding that that part of the border is more secure than ever. 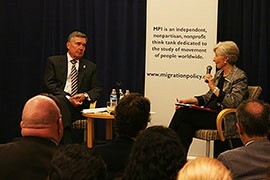 Kerlikowske, speaking at a discussion organized by the Migration Policy Institute, said his agency appears to be having success with its efforts to reduce the number of children crossing the border illegally, through its Dangers Awareness Campaign. According to a press release from CBP, the campaign uses public service announcements and billboards throughout the U.S. and Central America to detail the harsh realities of crossing the border, and the truth about what happens if they get caught. The campaign came as numbers of unaccompanied minors crossing the Southwest border skyrocketed, from 35,209 in the first 11 months of fiscal 2013 to 66,127 in the same period for fiscal 2014. Most of those children crossed the border in Texas, and just over 50,000 in fiscal 2014 were from Honduras, Guatemala and El Salvador – the countries where the Dangers Awareness Campaign is focused. The number of children crossing the border without an adult peaked at 10,622 in June, and went down to 3,141 in August, according to a statement this month from the Department of Homeland Security. It cited the Dangers Awareness Campaign as one of the factors attributing to the decline. Kerlikowske said there are other factors behind the drop as well: cooperation between CBP and DHS, work with Central American leaders, the sluggish economy and the weather. A change in weather could bring a change in the numbers, Kerlikowske warned, with a drop in temperatures likely to result in a rise in attempted border crossings over the next few months. “We’re not taking a victory lap. We’re very pleased that the numbers are down, but we should be very concerned,” he said. 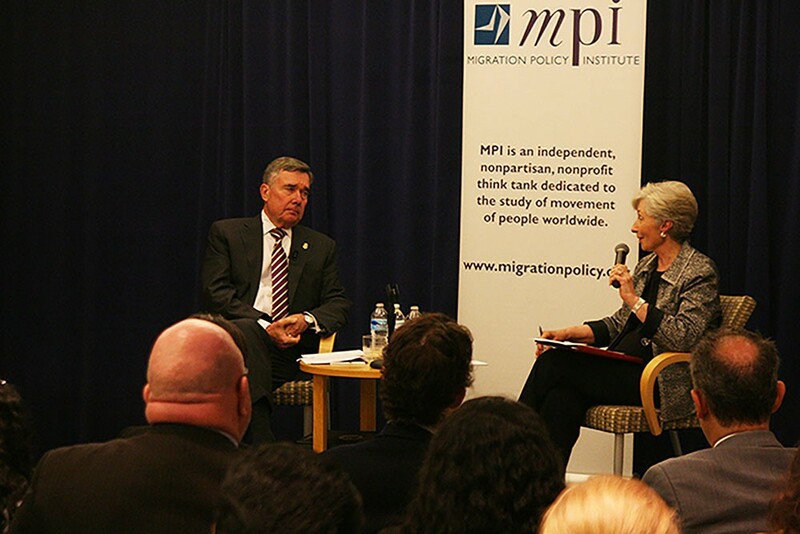 Customs and Border Protection Commissioner Gil Kerlikowske told the Migration Policy Institute's Doris Meissner there is no "credible evidence" that ISIS is looking to enter the U.S. through the Southwest. 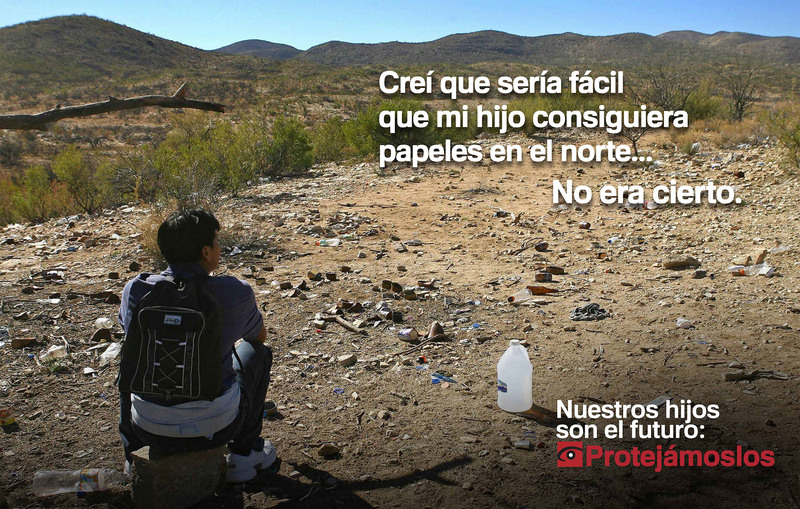 A poster aimed at parents in Central America says, "I thought it would be easy for my son get papers in the North... this was not true." 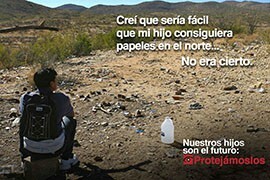 It's part of a Customs and Border Protection campaign to stop immigrant minors.